This is the easiest sewing project ever! 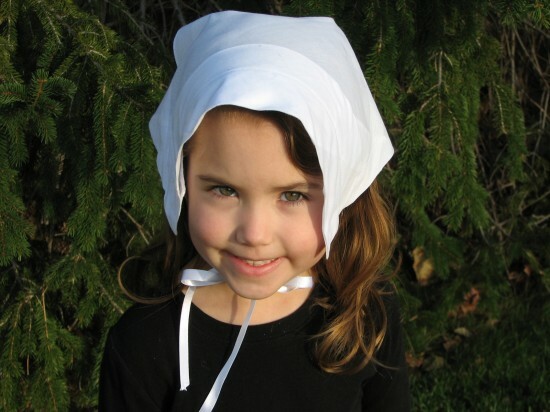 You can upcycle a men’s white hankie into a little girl’s pilgrim hat in about 5-10 minutes. The end result is the cutest little pilgrim at the Thanksgiving table. 1. 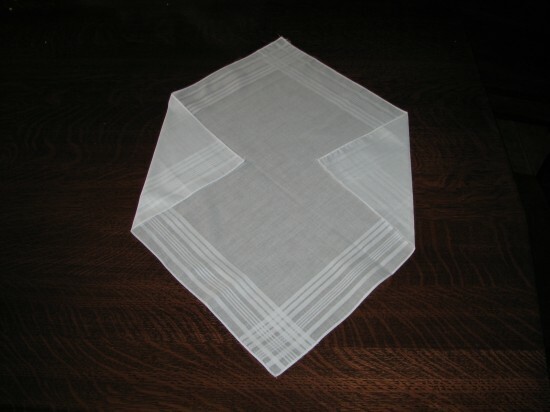 Plain white hankie, washed and ironed with a little starch. 2. 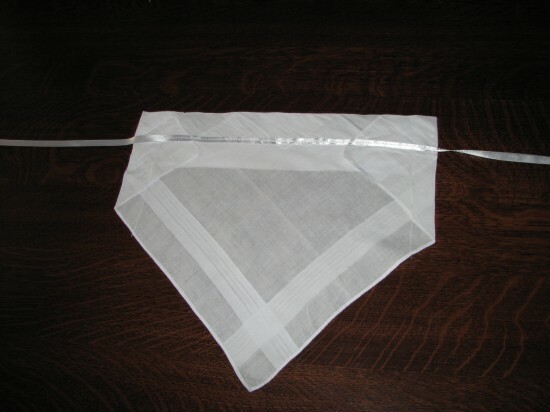 Length of white ribbon, about 24 inches depending on your child’s size. 4. Sewing machine and ability to sew a mostly straight line (though you could easily get away with just a needle and white thread if necessary). 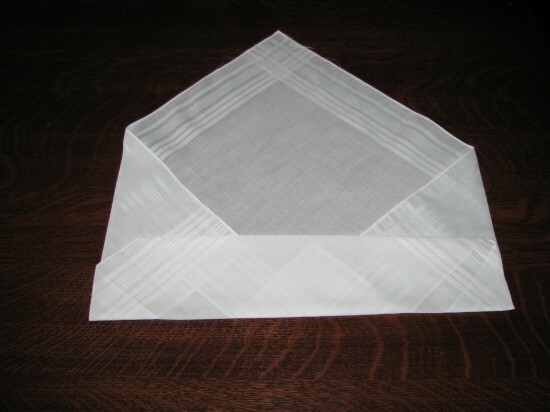 First, lay the hankie out flat so that it looks kind of like a diamond. Then fold the sides in to form triangles and iron flat. Use white thread to sew into place by whatever means necessary. If you don’t have a sewing machine you could use hand stitching. It only needs to hold it in place. Use plenty of starch and it won’t need a lot of extra help. Now, fold the bottom corner in the same way and then fold it in again to form the top/brim of the hat. Iron flat again and sew into place. Finally, sew your white ribbon into place. That is it! 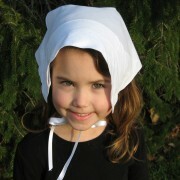 Put it on your little one’s head and tie under her chin. Adorable. This is really, really cute! And a great way to deal with modern hankys, I have some that I was very disappointed with- no absorption quality at all. But this would look wonderful on my little one!